In an attempt to reduce the incidence of teen accidents, Assembly Bill 63, introduced by California Assemblyman Jim Frazier, seeks to increase the age new drivers must hold a provisional driver’s license from 18 to 21. Recent statistics show that new, first time drivers 18-19 years old have a crash rate that is 60% higher than 16-17 year old drivers who have gone through provisional licensing. Car crashes are the leading cause of death for teens in the U.S. In California, 16 and 17 year-olds are required to drive for a year before they can drive with friends and without adults. There are a number of restrictions during the first 12 months. Driving between 11 pm and 5 am is prohibited as well as carrying passengers under the age of 20 unless accompanied by a licensed driver 25 or over. The bill may, if passed, offer some exceptions in special cases where young drivers may drive underage family members or allowing driving after hours with written parental permission. In LA County alone, 536 people were killed in auto accidents in 2011, while a total of 28,938 were killed or injured. Preliminary data suggest that these troubling trends persist for the years 2012 and 2013 and beyond. 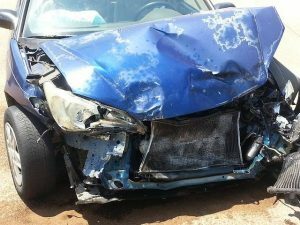 There are many types of car accidents, such as two-car collisions (head-on, read-end, or side) and single vehicle accidents (involving running off the road, rollovers, or collisions with animals or objects). You may be entitled to compensation for injuries and other losses sustained in a car accident. The amount of compensation will vary, depending on a number of factors including the extent and permanence of your injuries. If you have been injured in Los Angeles as a result of a car accident, please call 310-641-3335 for a free consultation with one of our experienced Los Angeles car accident lawyers and find out how we can help you.